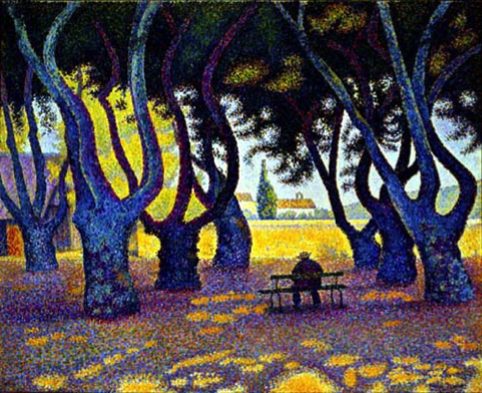 It was the same for the Pointillists, who extracted from colour those properties which it only possesses by virtue of the eye, the painter's eye, whose mission it is to awaken to their own nature, their own activity, the eyes of men. They too are unquestionably masters whom we must follow without hesitation, without lingering over the systematic aspect of their work. Their discoveries are objective; they are still relevant to our present day needs, and they will last. All that is necessary, if we want to make use of them, is a critical sense able to distinguish them from what is still acting as a hindrance - the fact of their application to subjects which, themselves, are still derived from humanist Naturalism. When once it has been freed from its dependence on the subject, the Divisionist technique becomes an objective means which can be used to slow down, or to speed, the melodic movement towards light, to control the movement of the cadences, to emphasise the precise location in space of a particular surface, and, by way of contrast, to interest the eye more profoundly in the flat tint of an individual colour, or of a colour harmony, from whence it will be able to gain the rapid, musical arabesque that is found in the modulation of the lines. When they first appeared on the scene, the Fauves seemed to want to make use of the conquests of the Pointillists, at least through the use of the point, but this had the effect of dispersing the pure tones whose power they wanted to try. Unable to arrive at a melodious organisation of colour - a series of colours organised in a melodious succession - they tried to extricate themselves by using the rather clumsy technique of breaking the direction of the brush strokes, of imposing a series of patches of colour. Dissatisfied with the result, they gave up the attempt. We know the rather disappointing destiny of most of the first Fauves. The experiment nonetheless deserves to be thought about and to be retained, as it was conducted by people of talent, who had a sense of their craft. 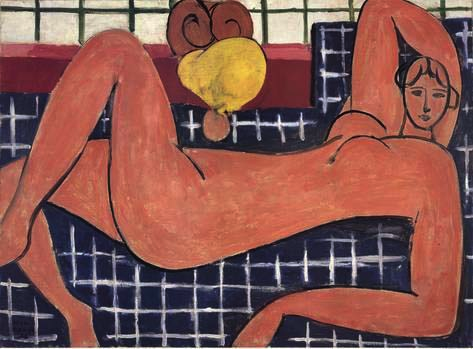 Only Matisse did not go back on himself. He persisted with his study of the relations between colours, and will always be recognised as a master of harmony. Baudelaire would rightly have reproached him with ignoring 'melody and counterpoint'. He deformed the classical subjective drawing, thinking that by this means he would be able to form his colours; but he did not succeed, despite his great talent as a painter. The problem is that the one prevents the other. The naturalist, classical mode of drawing and that which is required by a painting that is traditional and objective, each of them have their own demands to make. There is no bridge that can be thrown between the two. The rhythm of things, which Matisse intuitively wanted to achieve, does not depend on the greater or lesser sinuosity of a contour, but on a germinating growth, whose development is marked by cadences, and thus it has the appearance of evolving from within the interior of the painting. A colour goes towards form, to rhythm, through its own movement, hence the indispensable need for melody. If we try to get there by closing it up in a contour which is not of its own nature, we run into a blind alley, the eye is stopped by the double effect of the static colour and of the meandering line that limits it; for this latter, no matter how daring it might be, only deforms, without changing either its spirit or its letter, the immobile, classical drawing that is the contrary of the mobile drawing that corresponds to the nature of the object-painting. Nonetheless, once these reservations have been stated, Matisse is still a master. What he has to teach is bound to bear fruit and, with regard to harmony, it would be foolish to ignore him. A demanding painter will not find everything in Matisse, but what he will find is a solid basis for painting. Once the limitations of this approach are recognised, however, there is nothing for it but to look elsewhere for the means to overcome them. And we do not have far to look. Straightaway, I think of the personalities of two painters who had little to do with the activities of the groups - that of Odilon Redon and that of Bonnard, who parted company from the Nabis with whom, initially, he had been connected. We may regret, when we recognise his exceptional qualities as a painter, that Redon was so much attracted to the backwaters of literary intentions, but there is little point in getting worked up about it. The lesson he gives us on harmony, cadence and counterpoint is so wonderful that it compels our admiration. 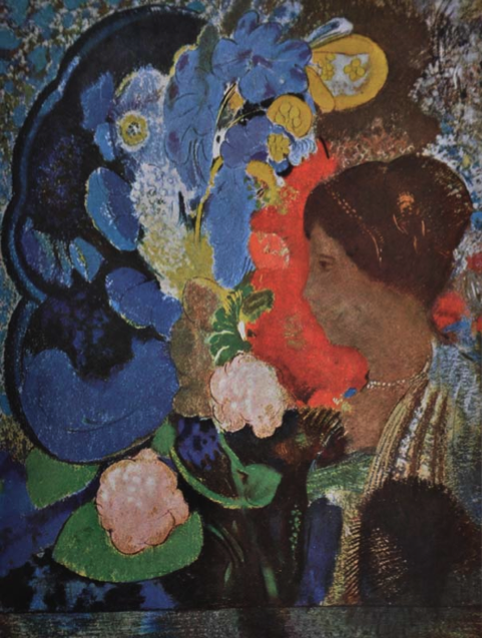 And there are some of Redon's works that have nothing more in them than that. It is the subject and object joined together in the song of the painter for the pleasure of the eye and the glory of the soul. Someone who knew Odilon Redon very well told me that he (7) once heard him reply to a young painter who asked his advice: 'Open your box of pastels. Choose the one that pleases you most, and crush it on your paper. Surround it with what suits it, and in that way organise your picture.' That is painting expressed in its object. Beginning with the feeling of sight, and finishing with the formed work; between these two limits, the movement of cadences and of counterpoint. The order is perfect. It only remains for us to acquire through experience the secret of the rules through which the vagaries of our feeling can be corrected, while still, constantly, taking the feeling itself into account. That is what is meant by mastery. Odilon Redon often shows us that he is a master painter. The lesson that Bonnard has to offer us is also relevant. 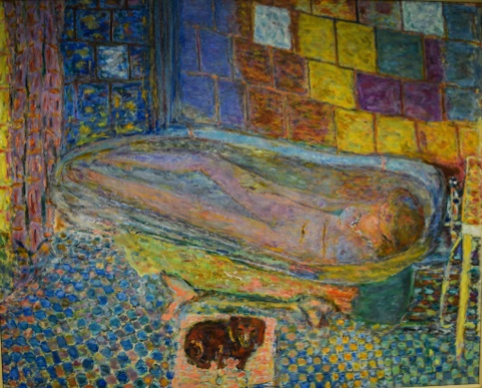 Let the littérateurs who do not know the craft admire Bonnard for his spontaneous way of treating intimate subjects. Let them seize the opportunity to bring grist to their mill if they like. But, as far as painters are concerned, it is uniquely the painter and the objective fact of his painting, that is interesting. And what interest the painters will find in him ! They will understand that, even if he still continues to use the common subject as a makeshift through which he can give a structure to his work, it is treated so casually that his real interest is clearly lying somewhere else. It lies, unhesitatingly, on the side of painting, of the coloured, harmonised, cadenced, that is to say, modulated object. It is certainly by his painting that he can attract, and hold, the attention of painters. If they study him, they will be keeping to the right path, and they will learn lessons with respect to colour that will enable them, if they have sufficient intelligence and initiative, to know where to search for the structure, the drawing, that this colour requires - a structure that is still lacking in Bonnard, as great a painter as he was. From this rapid survey of the pictorial activity of the nineteenth and twentieth centuries we can see that it is Delacroix who is the starting point from which the notion of reality, of the object in itself, of painting as a fact in its own right, begins to take shape. This is the antithesis of the notion of the spectacle which had been imposed on painting by Humanism. It stands opposed to the subject-reflex, which diverts to its own advantage feelings that are, properly, of the nature of the object. It is actually the reality of Man, defined as such, engaged in the painter, that is at stake. It is among the most important of ontological problems, and, if Delacroix - and we must not forget Baudelaire - were not able to present it in its entirety, as it is, the fact remains that they were able, through their acts and through their words, to orientate it towards the only path that was suitable and that could lead to a solution. It is not surprising that certain particularly gifted painters, coming after them, had some understanding of what the engagement they had entered into meant, and devoted themselves to returning to painting its living values, simultaneous as they are to the living values of the eye. We must, however, recognise that, in exploring the properties of sight, they were thinking too exclusively in terms of the properties of colour. What Delacroix indicated by 'the harmony of lines' shows that he at least had the presentiment of a real act of drawing, an arabesque in movement, something other than the frozen representation of a sensation expressed as a figure; the presentiment of that drawing that is inseparable from colours and from their music. These painters, taken as they were with colours and with music, did not do much to bring this reality to light. They did not have a sufficiently strong suspicion of its real nature. That is why, one and all, they continued to use classical drawing, without seeing that, even if it was treated in a casual manner, or severely stylised, it was still acting in contradiction to the lyrical flight of the harmony, the melody, the counterpoint of colours, which more or less all of them were able to achieve. The problem of drawing was left to those painters who set themselves the job of solving it, the painters who were called the Cubists . At last, the structures of the subjective, spectacular, representations of Humanism were overthrown and, definitively, rejected. But this took years of research, of unrelenting work, and personal sacrifices. For nothing can be acquired easily and in a day. 'Under certain circumstances, painting can very well do without a subject'. Once again, Delacroix saw beyond what was immediately possible in his own time, and so he appears to us to have been a great visionary. And justice demands that his name should always be associated with that of Baudelaire, whose comment, which I quoted earlier, is sufficient proof of how little interest he showed in the subject, and of the importance he placed on the object of painting, whose different levels of action, of line and of colour, he defined so lucidly.